I help expats navigate important life transitions and realise real change in their lives, whether that is making a successful international move, changing career direction or coping with a relationship challenges (such as separation or divorce) while abroad. As a coach, I bring experience, expertise and a “big picture” perspective to help you identify goals, and overcome obstacles to achieve them. Although I am based in Switzerland and meet with some of my clients locally, I work with clients from all around the world. I conduct coaching sessions in person, by phone or via web (such as Skype or Zoom), and offer additional support through online communication, like email and chat. While most clients benefit from an ongoing coaching relationship, I also work with clients on a short-term basis and even provide single sessions. The format is custom-designed around the client’s unique needs, timelines and constraints. My coaching style is all about creating a safe, confidential and non-judgemental environment where I aim to both support and challenge my clients to help them move forward, get “unstuck,” overcome fears or challenges and ultimately achieve success and happiness. The best way to get started is to complete this brief online intake questionnaire. The next step is a free 30 minute consultation, to evaluate fit and determine next steps. 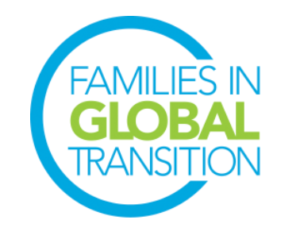 • Expat Transition Coaching: Working with individuals (and their families) considering, embarking upon or adjusting to Expat Assignments (International Work Assignments). Because I know that the transition back home can be just a challenging, I also support repatriating expats. • Career Coaching: Working with globally mobile individuals going through career change, whether international or not, as many of the themes, challenges and solutions that impact expats are similar to those of non-expats going through career transitions. Many of the career change issues are linked to leading a globally mobile life. • Relationship Coaching: Working with expats navigating relationship challenges or going through separation or divorce is a natural complement to expat coaching, since relationships are such a fundamental aspect of any life transition.